As a rule of thumb an essay must have three main components, namely; introduction, body and conclusion. One of the common mistakes that students make when writing an essay is overlooking the introduction and the conclusion. Specifically, students hurriedly write the introduction and doing so lowers the overall quality of their essays. This article explains how to write a good introduction for an essay. A good essay introduction should meet a number of goals. To start with it must provide background information of your topic. This means that you are expected to write a number of sentences that provide the context of your work. Such statements need not to be broad but must be relevant to the topic under study. Moreover, you must provide the scope of your essay by making clear the audience, time period and subject that the essay addresses. Secondly, the introduction of your essay must clearly state your position on a given matter. Such a statement declaring your position in relation to a given subject is commonly known as a thesis statement. It should be clear and it is normally written as the last sentence in the introduction paragraph. It is worth to note that all the information that you include in the given essay must be relevant to the thesis statement. 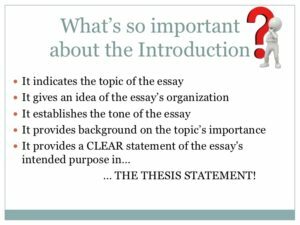 Students who really understand how to write a good introduction for an essay know the importance of providing the structure of your essay in the introduction. An acceptable introduction of an essay should give the reader a clear idea of how various ideas in your essay are organized. Such ideas can be organized, chronologically, sequentially and thematically among other form of organizations. You must however be brief when outlining the structure of your essay in the introduction. Perhaps the secret to writing a great essay introduction is starting it with a hook that that captures the attention of the reader. The purpose of such an attention grabber is to make the reader interested in reading the rest of your essay. There are a number of techniques that you can use to make your reader interested in reading the rest of your work. Some of such techniques are presented below. Notably, starting with astonishing information that your reader are unaware of is an effective technique of grabbing their attention. Such unexpected information should be in support of your thesis statement. Moreover, it must be based on verifiable information. You should also go a step further and explain such information. Including a short story about an incident or a person that is relevant to your topic is an effective way of capturing your readers’ attention. Such story should be brief and must not necessarily be funny. The anecdote that you include in your essay must illustrate your point. Summarizing the main argument in an essay is one of the most effective ways of writing an introduction. Readers who would like to read more about the summarized points are forced to read the rest of the essay. Writers who understand how to write a good introduction for an essay are aware that providing a summary not only informs the reader about what to expect in the rest of your essay but also captures his/her attention. The truth is that writing an introduction of an essay is much complicated than what most students would like to admit. It then follows that there is a sizeable number of students who do not know how to write a good introduction for an essay. 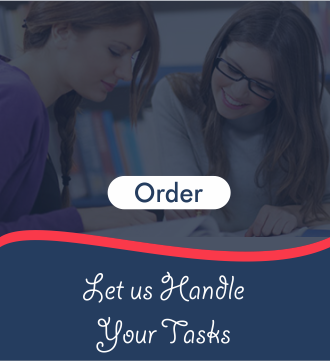 If you are such a student and you would like to get professional writing services then you should be sure to contact us. We promise you that we are all set to assist you. Moreover, our rates are quite affordable and our payment system is very secure. You can therefore trust we shall offer you reliable help with writing an introduction of an essay.